One of the major areas where Celtic needed reinforcement while entering the January transfer window was at right back. Both Mikael Lustig and Cristian Gamboa are in the final six months of their contract, and there are no indications yet whether the club would look to extend their deals or not. Moreover, Lustig who is 33 now, has been a liability in defence and has primarily been found out against tough opponents and in the Europa League. One of the names which did the rounds in January was that of Belgian international Timothy Castagne who was struggling to establish himself with the Serie A outfit, Atalanta. Recently, the full-back opened up about what was going through his mind last month and confirmed that Celtic were chasing after him. 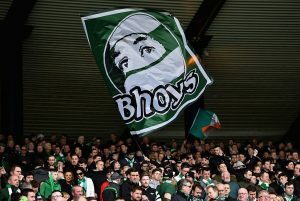 It was believed that the Hoops were set to table a £6m (Daily Mail) bid for the 23-year-old, but later on, the Serie A outfit slapped a £10m (Cittaceleste) price tag on him. Celtic instead went on to sign Jeremy Toljan last month on loan from Bundesliga heavyweights, Borussia Dortmund. Celtic might still have to dive into the summer transfer window to sign a right back, and Castagne should be on the radar of the club if they fail to secure Toljan’s services permanently. We are not yet sure how much the German outfit might demand for Toljan, but if Celtic are priced out of a move for him, then they should consider revisiting this former target. Castagne is still 23 and is already an international for Belgium who are regarded as one of the best national teams in world football at the moment. The fullback will be a proper long term replacement for the right back spot and given his abilities on both halves of the pitch, Rodgers will have an excellent option for years to come. However, with the signing of Toljan, we expect the club to try their luck first with the German defender, and if things don’t pan out well for him, then they could consider going after Castagne. It would be interesting to see whether the Italian club would demand a similar price for him which had put Celtic off last month. On Loan 20 Y/O Ruled Out For Atleast Three Month: Big Blow For Celtic And Rodgers? 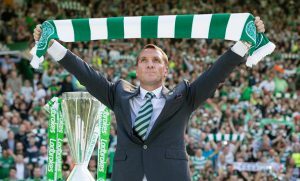 Update In Celtic’s Chase For This £4m Defensive Ace: Right Call From Rodgers Here?